Bittylicious recently suspended its cash payments option but we have been in intense negotiations about how best to try and continue this service. 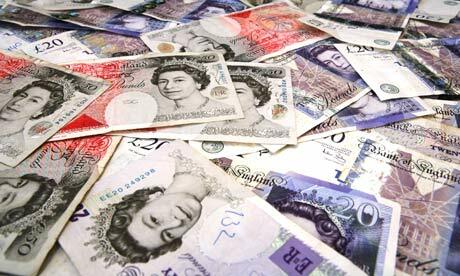 The cash payment service involves taking a payment slip to any one of over 10,000 Payzone locations in the UK. These are typically corner stores and other small shops. The Bitcoins are sent within a few minutes of the cash being accepted by the shop. It’s a quick and easy way to buy Bitcoins without needing a bank account, but it does require ID to be uploaded. Cash payments are not a money spinner for Bittylicious and actually are not very popular. We typically sell £1,000-£2,000 per month, and this results in a profit for us of no more than £50 per month. Cash is often the cheapest way to buy Bitcoins on Bittylicious, or at least close to the cheapest. Bittylicious has been given an offer to continue this service but at a minimum monthly cost of £250. This doesn’t make sense financially at the moment, but we like this service a lot and we know that some of you also enjoy using this option. What would encourage you to use the cash service more often? Should we continue offering this service? We cannot subsidise it forever so we need to increase usage of the service. We would welcome your comments below. If you’re taking a vote, then I have no intention of ever using cash as a bank transfer is so much easier and I don’t mind you knowing where my funds come from. I’m surprised nobody has commented. I used the service several times recently and would use it again if it were available. The problem I found is that shopkeepers don’t like it, some even refuse it – perhaps this is what is limiting sales.